CAT Cutoff 2018 - The CAT 2018 cutoff depends on the difficulty level of the exam and other factors. Experts released the expected CAT cutoff 2018 after the exam got over. The cutoff of CAT 2018 refers to the minimum percentile a test taker must obtain in order to qualify for the next round of selection process. Almost all the 20 IIMs including IIM Ahmedabad, IIM Bangalore, IIM Lucknow and IIM Calcutta have already released the CAT cutoff for the academic year 2019-21. CAT was conducted in two slots, forenoon and afternoon on November 26. The result has been announced on January 5, 2019. CAT cutoff 2018 depends on various factors such as the total number of test takers, the difficulty level of the exam, the total number of seats, etc. Candidates appearing for CAT 2018 exam must qualify the sectional as well as the overall cutoff in order to get shortlisted for the next rounds of the CAT 2018 selection process – WAT-GD/PI. CAT is conducted every year by IIMs on a rotational basis for admission MBA/PGDM course offered by IIMs and 100 other top B-schools in the country. This article brings to you the estimated CAT cutoff 2018 of the 20 IIMs and the other top B-schools. Usually, the CAT cutoff for old IIMs and top B-schools such as FMS (University of Delhi), MDI Gurgaon, SPJIMR Mumbai, etc. goes over 99 percentile. New IIMs including IIM Sambalpur, IIM Ranchi, etc. and other top B-schools have cutoff 90 percentile and above. On the other hand, the cutoff for B-schools belonging to tier two to four range from 80 to 50 percentile. 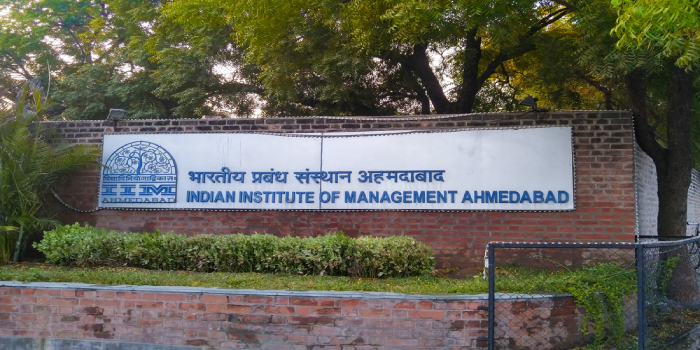 IIM Ahmedabad, IIM Calcutta, and IIM Lucknow have already released the CAT 2018 cutoff category-wise and the rest of the IIMs are expected to release the same soon. There is no change in the cutoff. Let’s have a look at the CAT cutoff for various B-schools and IIMs. Now let us take a look at the expected CAT cutoff of non-IIM CAT participating institutes. As the CAT cutoff depends largely on the difficulty level of the exam, it’s important to know that the exam last year was moderately tough on the difficulty scale. As the CAT 2018 result has been declared on January 5, 2019, the participating institutes will shortlist candidates based on their cutoffs and other CAT eligibility criteria. Shortlisted candidates will appear for the selection procedure which includes Writing Ability Test (WAT) or Group Discussion (GD) and Personal Interview (PI) rounds. More than 4000 seats are offered by 20 IIMs through CAT exam. Suggest me best online streaming course for quantitative aptitude for cat?? Is cat compulsory for doing llb also or it's only for management? If it compulsory in llb also then why? I already calculated my average marks in JEE papr -2 april, I expect 220 marks in Paper -2.What should be my percentile score in OBC cat. ? I belong to average category of students. Am i able to clear cat exam with full dedication and hard work? Your CAT brochure has been successfully mailed to your registered email id .